MMT RIDE: David’s “Third MMT Relay Ride” – Who Knows Where We’ll Go! « February Saturday Ride: Yea! Another awesome ride! Our first & second Relay Rides were so much fun that we’re having another one – so join us on MMT’s second Relay Ride on Sunday 17th February. NOTE: this ride will involve a picnic lunch so bring something to eat along the way. 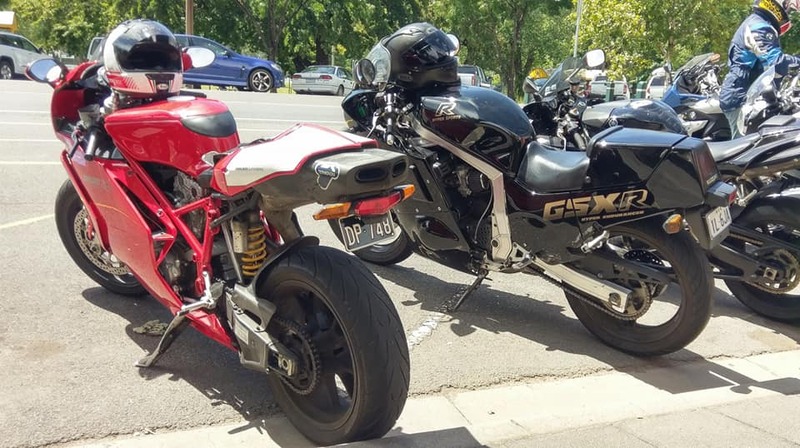 We meet at 10 am outside the Olinda Creek Hotel in Lilydale,161 Main St, Lilydale, VIC, 3140 (Note: No inner city meeting place for this ride). From there a ride leader will be chosen to take over and head in any direction they wish until they announce a new Ride Leader. This process will continue until the current Ride Leader ends the ride. Lunch will be wherever we are at lunchtime at the Ride Leader’s discretion. This will be lots of fun again. Who knows where we’ll end up! The current Ride Leader has full discretion over the ride and can lead the ride for as long or as short as they desire. A change of Ride Leader can only take place in a town and will be nominated by the current Ride Leader or the second rider in order of the group by default. The new Ride Leader may not proceed until the previous Ride Leader has personally informed each member of the group who the new Ride Leader is. The current Ride Leader can end the ride at any time provided that the group is within 50 kilometres of Melbourne CBD.